Shrewsbury – The family of Adele F. (Aucoin) Haynes is saddened to announce her passing Aug. 1, 2018, at the Coleman House of Northborough. She was predeceased by her husband, Paul W. Haynes, who died in 1986. She is survived by two children, Paul F. Haynes of Marblehead and Mary Ellen Kimball and her husband Joel of Glastonbury, Conn.; daughters-in-law, Sandra Haynes of Auburn and Cathy Haynes of Franklin; and her sister, Marie Kinney of Worcester. Adele will fondly be remembered by her six grandchildren, Ashley Haynes of Newton, Brittney Haynes of Delray Beach, Fla., Brooke Haynes of Proctor Academy, Andover N.H., Caroline Kimball of Seattle, Wash., Tori Haynes of Seattle, Wash., and Harlan Kimball of Frisco, Colo.; and several nephews and nieces. She was predeceased by a son, Michael S. Haynes, who died in 2017; two brothers, Eugene Aucoin, who died in World War II, and Marcel Aucoin; and a sister, Madeleine Peloquin. She was born in Worcester, daughter of the late Clair and Florence (Guhin) Aucoin, and was a lifelong resident of Shrewsbury. 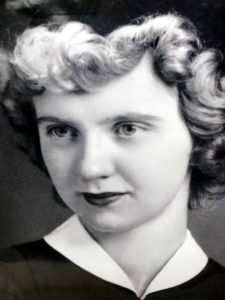 She graduated from Commerce High School in Worcester in 1948. Mrs. Haynes was the manager of Worcester O.B.G.Y.N. Associates for many years. She was a lifelong lover of Truro on Cape Cod. Family traditions were of strong importance to her, and many of the traditions that she started such as holidays with her family, and spending time in Truro are still continued by her family to this day. She was an avid sports fan, especially of the New England Patriots, and Tom Brady held a special spot in her heart. A funeral Mass will be held Monday, Aug. 6, at 11 a.m., at St. Mary’s Church, corner of Main and Summer streets in Shrewsbury. Burial will follow at Mountain View Cemetery in Shrewsbury. Calling hours are Aug. 6, from 8:30-10 a.m., at Roney Funeral Home, 152 Worcester St., North Grafton, prior to the Mass. The family wishes to give special thanks to the nurses and aides at the Coleman House of Northborough for their loving care while she resided there.